Join experienced alpinist Rob Collister for a grade 1 scramble on Grib Lem (the Llech Ddu Spur on Carnedd Dafydd). 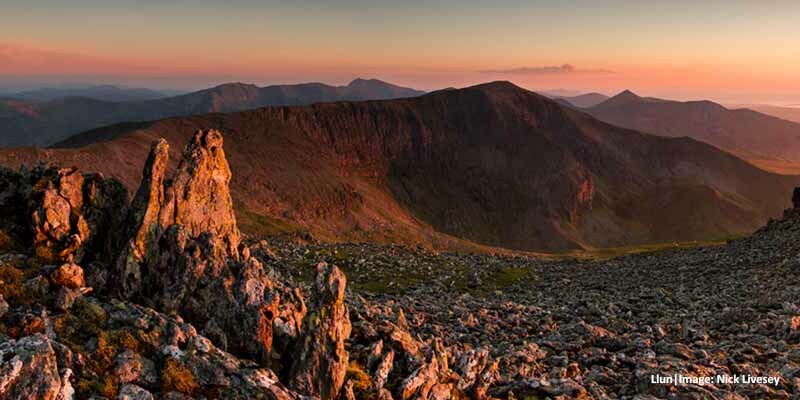 “A delightful route in a remote-feeling corner of the Carneddau reached by a long but interesting approach“. Meeting point: Lay-by on A5 just before Tŷ Gwyn if descending from Cwm Idwal. What to bring: Packed lunch, sturdy mountain boots (no trainers as some boggy ground on approach), waterproof jacket & trousers, warm hat and gloves, extra jumper or fleece. A good level of fitness is required. Not suitable for dogs.